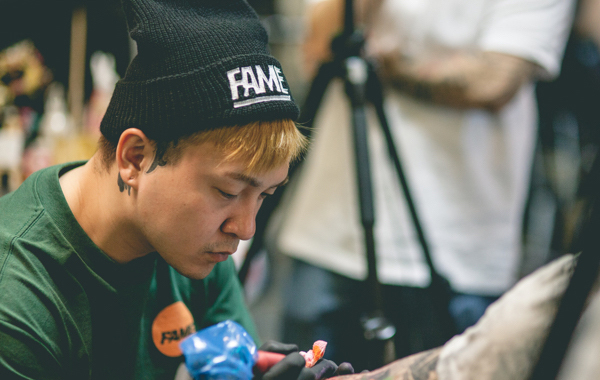 Spanning 4 Chapters, learn the tricks and techniques that award winning artist Tristen Zhang uses to tattoo one of the most difficult areas of the body, the hand! Build your artistic skills and push your career to the next level. This tutorial is not only a class but a continuous resource to assist you in your career. WHAT COMES WITH THE TUTORIAL? This tutorial consists of 4 Chapters. Tristen shows you how to measure the hand and how to apply black & white shading along with full colour to the hand tattoo to ensure minimal fading. This tutorial was created to pass on the mastery only years of experience can provide. Tristen’s tattoos utilize a number of asian styles, but with a unique neo-traditional feel to them. Each are intricate pieces that require complex combinations of black & grey shades along with bright, vibrant colors. This tutorial was created to show how Tristen accomplishes this by sharing this tattoo methodology with you. Tristen demonstrates his method of using Saran wrap to accurately measure the dimensions of the hand, with special attention to “fade points.” He concludes the chapter by applying the stencil and using a marker to re-draw the missing pieces. Tristen will walk you through how he completes the outline of the tattoo. Tristen shows you how to apply the black and grey foundation which is important in setting the foundation for the colour inks he uses for the hand tattoo. Tristen concludes the tutorial by adding the final layer, full colour onto the Foo Dog Hand Tattoo. Tristen Zhang has over 10 years of experience and is currently the lead artist of the Chronic Ink Tattoo Studio in Markham, Canada. 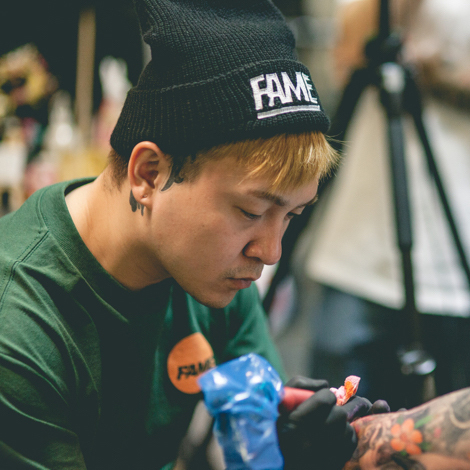 He specializes in Neo-Traditional Asian Tattoos and has won numerous awards at tattoo conventions around the world for his art. Learn to measure and tattoo the most difficult part of the body, the hand!